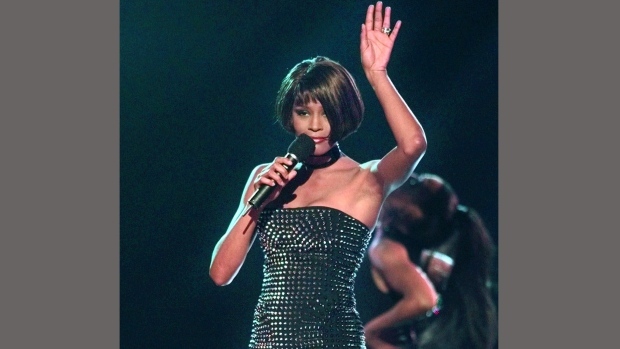 There will be no hologram form of Whitney Houston anytime soon. A duet was recorded by Christina Aguilera with an eerie image of the dead star on the season finale of The Voice, the US talent show, next week. It was set to begin on 23rd May, 2016, but plans of the cutting edge performance have been axed because it leaked online on 19th May, Thursday. The executor of Whitney’s estate, Pat Houston said that in its present form, the hologram is too low-tech because of which the family didn’t want it to appear on primetime broadcast. A statement was issued by Pat on Thursday in which she said that they were highly appreciative of the opportunity for the hologram on NBC’s The Voice and the pairing with Christina Aguilera was certainly extraordinary. She added that they wanted to provide a groundbreaking performance by both artists to satisfy their fans. However, she said that holograms are a relatively new technology and it would take time to perfect them. She asserted that Whitney’s fans and her legacy both demanded perfection, which couldn’t be delivered as yet. She emphasized that the reason for axing the duet was wholly due to technology issues and had absolutely nothing to do with Aguilera. She said that they had viewed the duet closely and Christina had been flawless, but the hologram didn’t seem ready to be aired yet. A deal was sealed by Whitney’s estate executors with Alki David, Greek billionaire and CEO of Hologram USA and FilmOn in the previous year for creating a three-dimensional laser-image of the Grammy award winner. The Whitney hologram was first going to debut on The Voice and was then supposed to appear as part of a worldwide tribute tour. It remains unclear if those plans have also been scrapped due to technology issues.